featuring great Canadian artists. I am not sure why I am popular there – never good questioning or speculating – but I am very glad Skye Wallace has come to my attention. She talks about her awesome new single, Scarlet Fever, and what comes next; the advice she would offer new artists - and whether we can see her in the U.K. I ask Wallace about her musical background the artists she followed; when music came into her life – and the three albums that mean the most to her. Hi, Skye. How are you? How has your week been? We're on the road right now - playing in Montreal tonight! 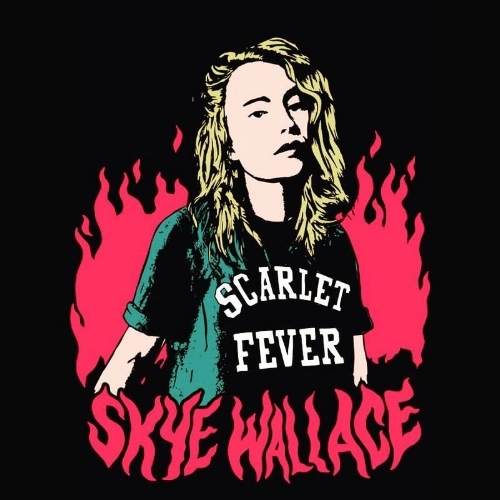 My name is Skye Wallace; I'm a Toronto-based artist who does a Folk-Rock-tinged-with-Punk style of music. The song is (about) a love story set in the Yukon. After a winter apart; Scarlet is arriving in the Dawson City harbour by boat and her lover awaits on land - petrified with uncertainty over the state of their devotion. It's based on a true story - I tried to evoke the messy turmoil of love and lust with the energy of the song. The song is quite energised and high-octane. Was it an easy song to get down on tape or did it go through various stages?! Well, this particular version happened very organically. I had great players, a great space and a relatively clear idea with room to play. However, this isn't the first version. We first recorded Scarlet Fever as quite a different song that was released as a bonus track on my 2014 release, Living Parts. Check it out, if you're so inclined! I always love hearing the processes of creative projects. Is there going to be any more music coming this year? What else do you have planned for 2017? I'll be releasing another single in early 2018 along with a full album later in 2018 - which I'm really excited about. The remainder of 2017 is finishing up this tour then touring the East Coast of Canada for November; then seeing some West Coast action in December. Then, it's down to more recording! Do you remember when music came into your life? Can you remember the first song you heard? I was pretty obsessed with Randy Travis when I was three or four. I carried around the tape everywhere: I went and knew all the words (phonetically at least). Everyone in my household had a great love of music, especially, my mom's side of the family - being from Newfoundland. Who are the musicians you followed and were captivated by as a youngster? I was obsessed with a bunch of different artists but the standouts I can think of now are Neil Young, The Weakerthans; Against Me, Patti Smith; Brand New and Tom Waits. Looking back on the year (so far); what has been your fondest memory so far? The tour I did of Italy and Germany (in May) was full of good times and crazy moments; beautiful sights and dope shows. The only bad thing that happened was an old Italian man likened my super-pasty legs to mozzarella. I'm on a huge Big Thief kick at the moment. Definitely, check them out. We're in Montreal tonight at The BOG then Toronto, tomorrow, at The Cameron House back-room. We'll be announcing the East Coast tour dates early next week - so keep tabs on the socials! Do you have any plans coming to the U.K.? Have you performed over here at all? I haven't yet but, with the new album coming out, I'm working on coming over at least once….it's always been a dream. The Weakerthans are my all-time favourite band and this record was the first I heard. I remember being extremely affected, emotionally and creatively, when I discovered this. My mom sat my brother and I down in the car one day and told us we had to listen to Rain Dogs. It started with Singapore, and we were like: "Mom, what the heck is this? He sounds like Satan." She told us we'd learn to love it - and we did. It was a huge inspiration for me when I first started experimenting with writing my own music. Sometimes, it seems like you're just treading water and not making any headway. Stick to your own thing you're doing - there's no point in trying to fit the confines of what already exists. In order to do make your thing happen, it often takes time…a lot of time. You just need to keep going and keep believing in your art. Christmas is not too far away. Do you all have plans already - or will you be busy working? I'll be hanging out in Vancouver; playing shows in the area - but also doing some chilling with family and friends! 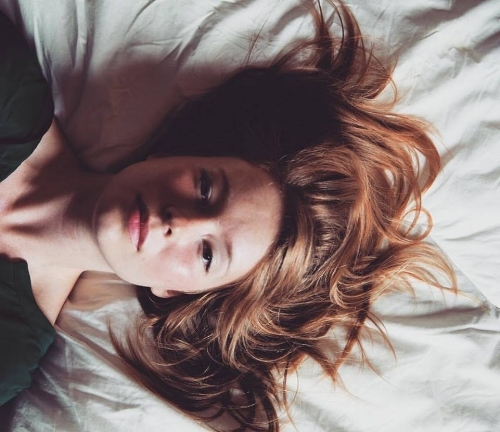 Are there chances for you to detach from music? Do you have any hobbies outside of music? I have plans to get back into curling this winter. I curled for eight or nine years and love that sport. I grew up behind a curling club because my grandfather ran the club and made the ice - so it's near and dear to my heart. Stoked to get back into it.